Touchknob was created as an exploration into applying the principles of calm technology to the design of everyday objects. 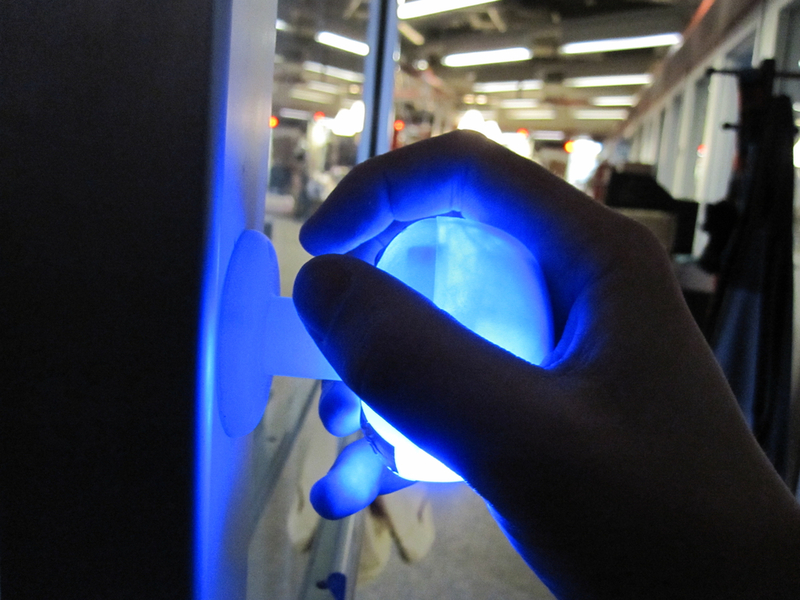 The device itself consists of a 3D printed doorknob with capacative sensors embedded into the backside to enable it to detect the pattern of a user's grasp. This information could then be used to lock or unlock a door. Because the sensor is embedded in a form natural to the normal interaction that one has with a doorknob (grasp, turn, open door), it is possible for a user to enjoy the benefit of advanced authentication technology without even noticing that it is there.